The Houston Rockets could have followed up their monumental win over the Golden State Warriors with a letdown loss to a currently-scorching Miami Heat team. Last season, they almost surely would have. The Heat swept that season series, in part because their personnel and style are a difficult matchup for Houston's fast and furious action. This Rockets team, however, wasn't interested in that. The Heat played with immense poise, finesse, strength and capability and it just wasn't enough. The Houston Rockets look well on their way to the dominance they'd exhibited earlier this season, and that's a scary prospect for everyone who has to face them. It wasn't an easy win. We've seen what an easy win looks like for this Rockets team. We've seen leads balloon and then deflate in the waning minutes due to disinterest and a miserable garbage time lineup. This Heat squad is a quality team led by an exceptional coach in Eric Spoelstra and an exceptional player in Hassan Whiteside. They've been hamstrung by injury, missing Goran Dragic and Dion Waiters, but have managed to hold onto the 4th seed nonetheless. The Heat may not be on the level of the Toronto Raptors or the Boston Celtics, but they're an opponent to be respected. They came out of the gates hot, with Hassan Whiteside making his way to the rim over and over. The Heat shot 71% in the first quarter, leaving the Rockets frustrated and trailing by 8. Unfortunately for them, this would not last. Eric Gordon remained ice-cold from behind the three point arc and missed all 7 of his attempts. James Harden shot under 40% from the field. The Rockets were held to a mere 99 points and an uncharacteristic 104.3 offensive rating. None of it stopped them from winning. 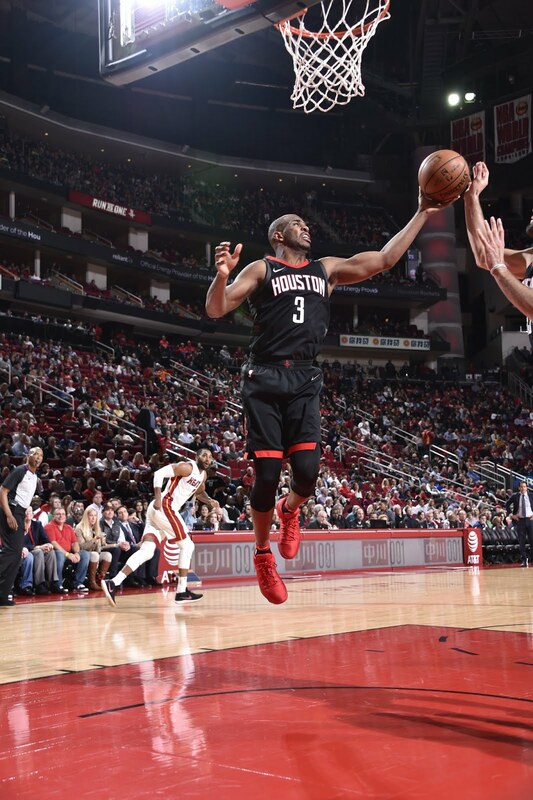 When the final minutes were ticking away, the Rockets clamped down on defense and force fed the Heat a diet of alternating Harden and Paul isolations to pull off an 8-0 run in the last 2:48. We've seen these games before, this season. 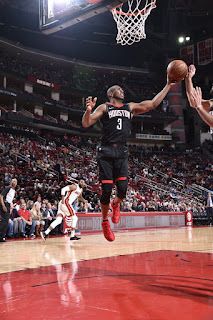 They came in the middle of the fourteen game win streak, and they were a big part of what made the Rockets look so scary. Hitting them with a haymaker seems to only make them buckle down, and that's exactly the mentality they need if they want to catch up to the Golden State Warriors and make a run for the 1 seed. The Rockets are now 18-0 when all three of James Harden, Chris Paul and Clint Capela play. That's because they're an elite team, and when they're healthy, there's only one team they aren't favored against on any given night. This team can play their game, your game, or anything in between. Tonight, they proved yet again that even when challenged, they can still dig it out. They don't look any less formidable now than they did when they beat the Warriors just hours ago.